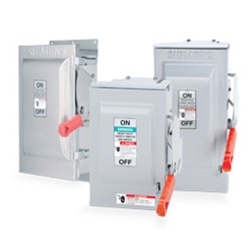 RNT Supply, Inc. is THE source for all of your Safety Switch & Disconnect needs. We offer a wide selection of Switches from all major manufacturers. We stock thousands of units in both fusible and non-fusible configurations up to 4000 AMP, ensuring we have the part you need, when you need it. Whether you need a switch for an emergency replacement, or you're looking to configure as part of a complete system, our knowledgeable sales team will help supply you with the right parts, at the right price.